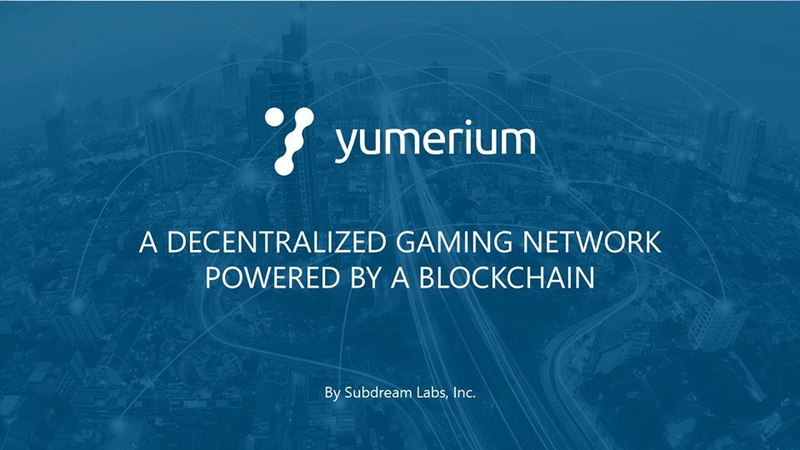 While this revolution is gaining wide acceptance, Yumerium, a gaming community where gamers share their experiences with other gamers which is a true form of viral marketing has arrived. Yumerium is a gaming community where gamers share their experiences with other gamers which is a true form of viral marketing. Gamers will be properly compensated with YUM for such efforts. Game developers can set up rewards for the gamers with Yumerium as they want, e.g. giving out YUM for watching promotional videos, sharing links to social networks, leaving review for their game, etc. Through this reward system, gamers will be more incentivized to participate in the community proactively. This incentive will be funded from the publisher’s “Marketing Fund” pool. The first generation of the digital revolution brought us the Internet of information. The second generation—powered by blockchain technology—is bringing us the Internet of value: a new, distributed platform that can help us reshape the world of business and transform the old order of human affairs for the better. Blockchain is the ingeniously simple, revolutionary protocol that allows transactions to be simultaneously anonymous and secure by maintaining a tamperproof public ledger of value. Though it’s the technology that drives bitcoin and other digital currencies, the underlying framework has the potential to go far beyond these and record virtually everything of value to humankind. In this sea of inovation and new technologies there are visionary projects that come to life in the form of ICO's and today i am going to present you with one of the most promising ones on the market. 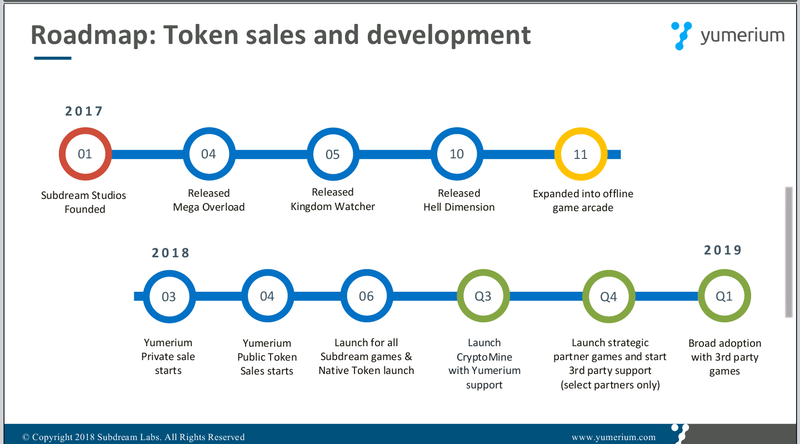 The project is called Yumerium and they have been in the gaming industries for more than 15 years. The team of the project found out that the companies that produces the games make a lot of money, but unfortunately the gamers that are the ones who bring the value, are not included in the revenue stream. 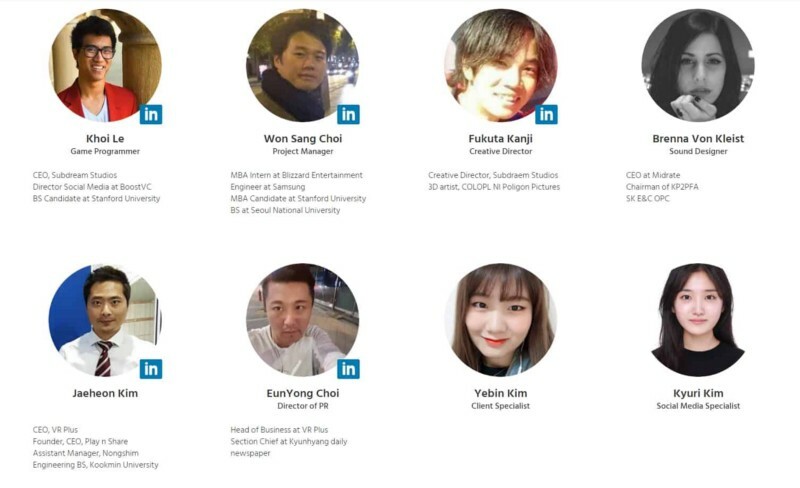 Yumerium want to build a platform that can share the value of the ecosystem beetween the investors, the company and the gamers. Most of the projects in the market are focusing on the item trading, where you get in game items and then you try to find a place to trade them and they try to use the blockchain as a way to record the items and then whatever is traded they want to trace who has the items while Yumerium is focused in building the ecosistem of players to enjoy the benefit of service. If a game developer has a great game and want to go to a platform, they have to pay a fee of 30%. On Yumerium ecosystem the players can own their credit by playing the game, so the platform fee can be reduced, close to zero. The ultimate goal is to help developers in popularizing games and encouraging consumers to make money by spending time in their favorite games. The main bonus is the absence of intermediaries between these parties, thus minimizing the risk of buying counterfeit goods. 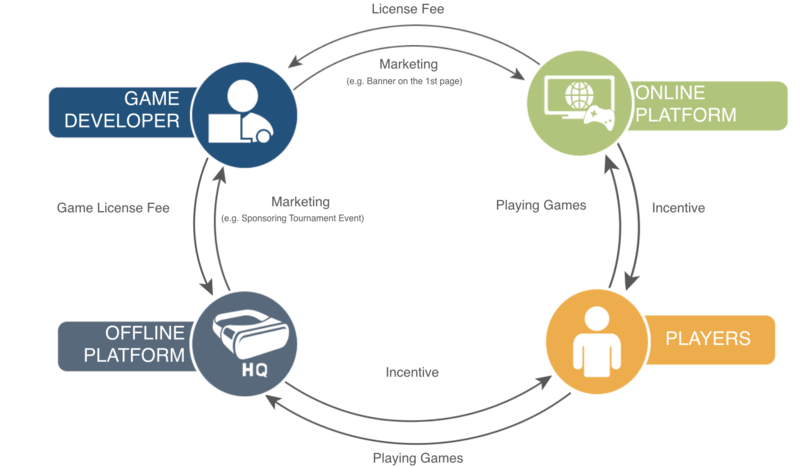 Gamers will immediately purchase game licenses for tokens installed inside the platform. 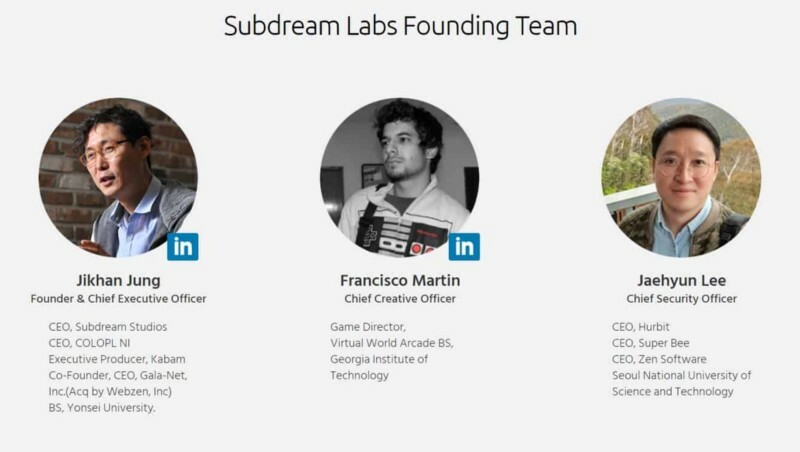 The vision of this project is to disrupt the gaming industry with blockchain and smart contract technology, Subdream Labs are created with key talents brought in from Subdream Studios and VR Plus who have extensive experiences in gaming industry. $2.3M is raised from marquee investors globally. • Decentralized trustless payment gateway solution with payment with cryptocurrencies with lower fee and instant payment time. • Acquisition & engagement: with “mining” opportunity, game developers can present strong incentive to acquire new users and expect higher engagement of players. • Publishing or crowdfunding opportunity for early concept games through voting from the community and funding from Yumerium. The idea of mining YUM tokens during the game will become a driver, thanks to which the number of the Yumerium platform users will grow. Growth will be achieved through the influx of people associated with the world of virtual games or mining. The exponential growth of the audience will attract, in turn, developers and advertisers. Thus, in the project Yumerium, as in most cryptocurrencies, at the launching stage of the network the self-development algorithm of the ecosystem is laid down. This self-development algorithm is stimulated by the possibility of earning on mining and access to fast, anonymous, anonymous transactions without commissions. The YUM token will have its own wallet and will be freely traded on cryptocurrency exchanges, and not only be traded in a narrow environment of gamers. How to make money on the YUMERIUM cryptoplatform? To earn a YUM token, you do not need to assemble sophisticated mining rigs and run around looking for graphics cards. It's enough just to join the gamer community YUMERIUM and play games! Play online games on the platform, earn and monetize points, watch and comment games, share your streams, sell or buy virtual items. Developers can register on the platform YUMERIUM and earn on their games. Advertise your own games for free, release your own tokens, attracting the attention of users, conduct bonus distributions and marketing campaigns on the YUMERIUM platform. The platform YUMERIUM is interesting not only to participants of the virtual games industry, because it allows you to earn off-the-game! 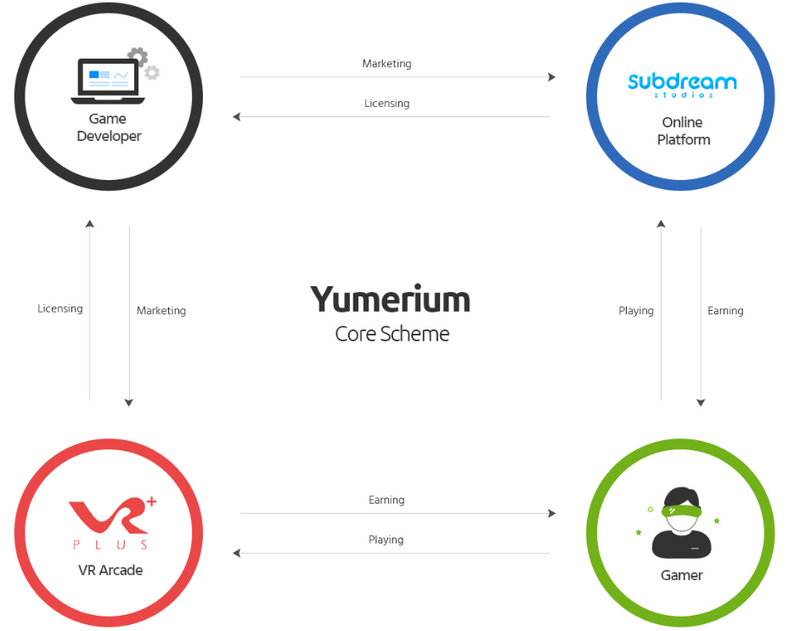 The YUMERIUM platform cooperates with Subdream Studios and is a platform for online games, with YUM token embedded in it, which ensures a constant demand and turnover of this virtual currency. Liquidity of the token will be supported by VR Arcade - YUMERIUM is developing a network of seats with additional virtual reality, revenue growth in this segment for the year 2017 increased fourfold! In addition to $ 2.3 million of venture capital, the platform has launched its own virtual games, which attract more and more users, so YUMERIUM will soon become self-sustained. The Yum token is a multi-utility token relevant for gamers and game developers alike. It will be used as a mode of payment to buy game money and other items, as rewards, and as marketing and other investments. 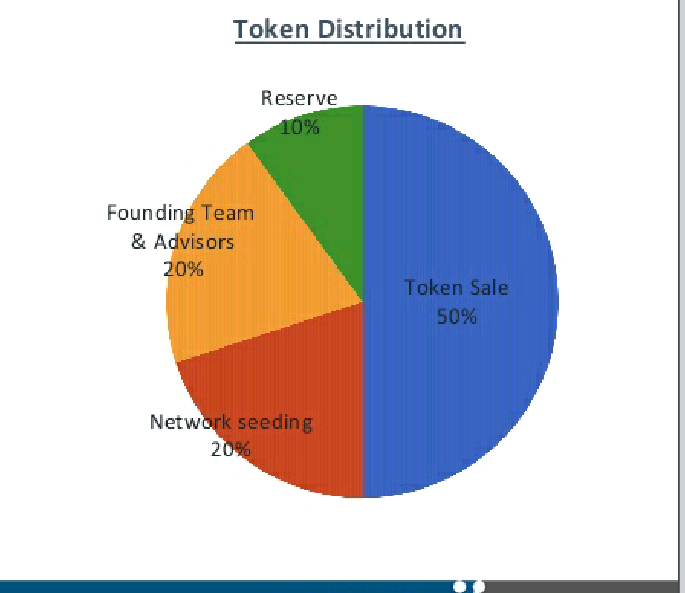 The token is built on Ethereum platform. The price of 1 YUM will be USD 0.1. The accepted mode of payment will be USD, BTC and ETH. The hard cap is fixed at 500,000,000 tokens. 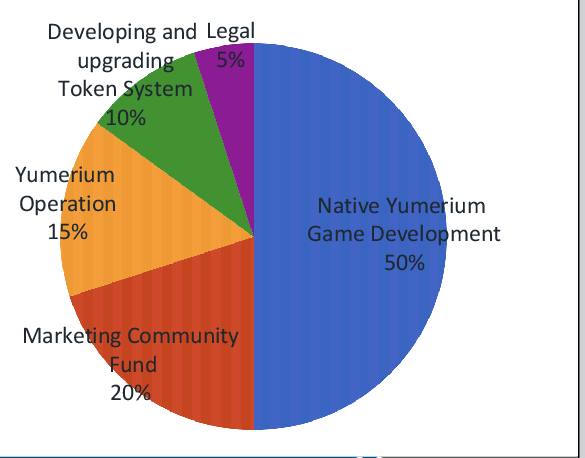 50% of the funds will be used for building native yumerium games. The presale of tokens will take place between April 22nd and May 12, 2018(discounts will vary from 30% to 10%). The public sale will take place from 13th of May to 19th of May at a discount of 5%. The YUM tokens will be distributed during two stages of the ICO: from April 22 to May 12 pre-sale will take place and from May 13 to May 19 - the main round. The company expects to attract the maximum amount of $ 500 million, sending part of the funds to support developers of virtual reality games. with SDK in Q3. 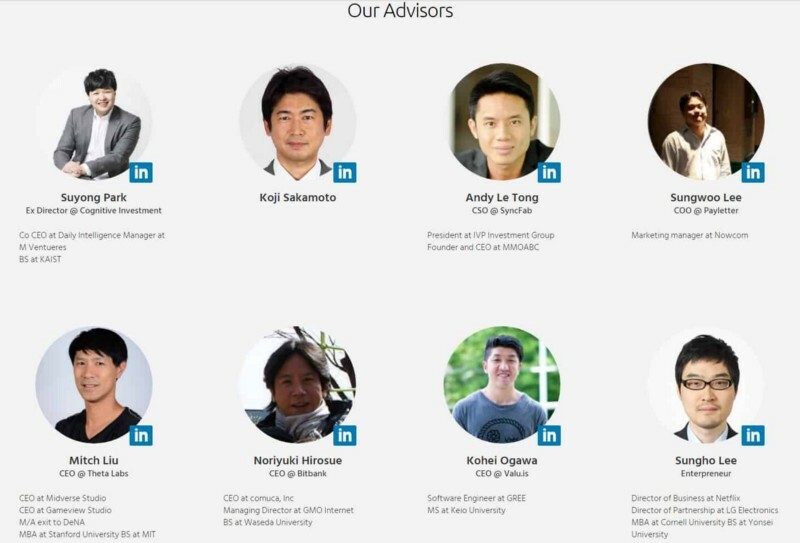 The launch will be the real market test before we open the platform to partners for broad adoption of Yumerium.